Armidale is beautiful in Autumn. Tree lined streets from corridors of autumn colours. ... in nearby Ebor. The Ebor/Dorrigo Plateau in Northern NSW is well known for having some of the best trout waters in Australia. ... in Cathedral Park National Park. North of Armidale. A great stop-off between the coast and Armidale on the Waterfall Way, Ebor Falls offers spectacular waterfall views, scenic lookouts and a picnic area. 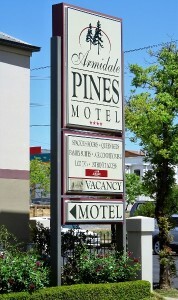 Located right in the centre of town, The Armidale Pines Motel is Armidale’s new motel. 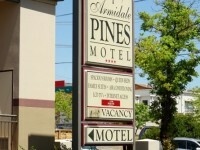 Offering the latest in spacious accommodation with quality furnishings, this motel has 19 units that are more like a classy B & B than your typical compact motel unit. 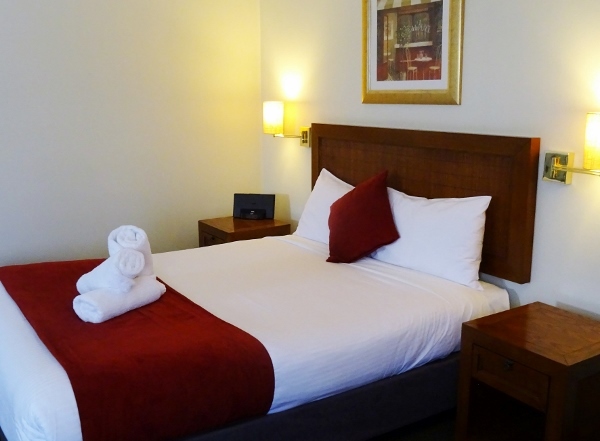 Featuring luxurious accommodation and good, old fashioned service, all within an easy walk to shops and restaurants. 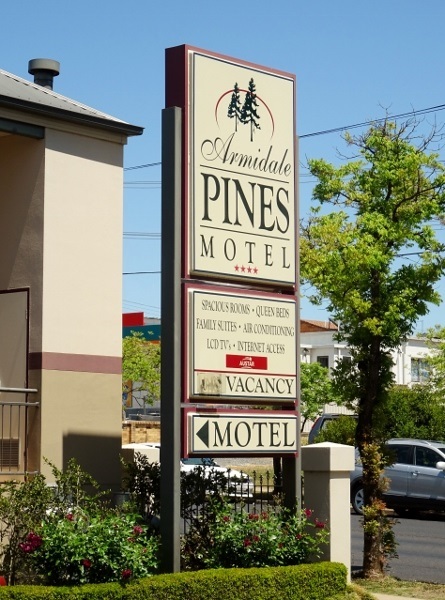 Armidale’s main town mall is less than 250 metres away. All rooms have split reverse cycle air conditioners that keep guests in quiet comfort, no matter whether it’s hot and humid, or cold and frosty. Gone are the days too, when you had to fill your kettle at the bathroom sink, now you can use the convenient kitchenette. Everything you would expect is at your finger tips, down to the crockery, cutlery and a microwave oven. 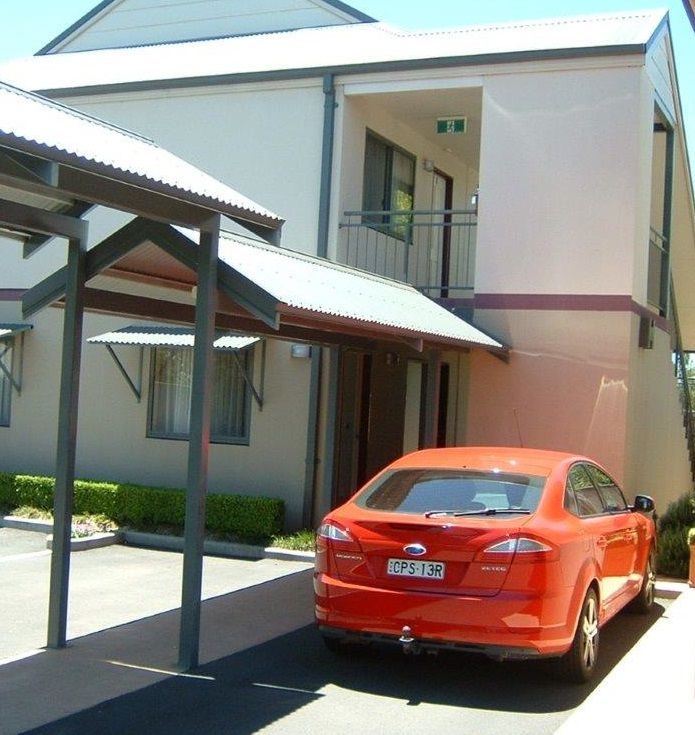 Travellers, students and business reps are all catered for with latest technology such as complimentary WiFi and broadband Internet access and Foxtel viewed on LCD televisions. They also have large, well lit writing desks where study time can be made that little bit less tiresome. Families are catered for with family suites that can accommodate 4 guests in one large room, or 4 guests in two rooms. 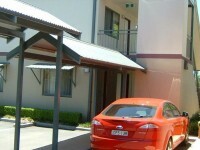 Each room has its own air conditioner and LCD TV. 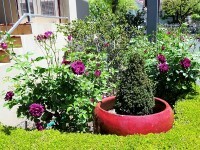 Many fine restaurants and cafes are close at hand, mostly only a couple of minutes walk from your motel accommodation. For the kids, and others, MacDonald’s, KFC and Subway are either right next door or just across the road as well as pizza outlets only 150 metres away. Situated on the New England Highway half way between Sydney & Brisbane and about 2 hours drive from the coast at Coffs Harbour. This beautiful country town is known for its educational & cultural qualities. It has four distinct seasons each year with the autumn colours being a stunning annual feature. The majestic architecture within the town centre is carried over through the buildings of the University of New England and private schools such as The Armidale School and New England Girls School. 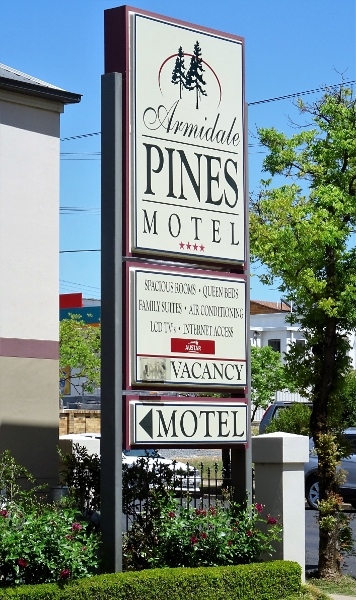 Book your Armidale Pines Motel accommodation online or call 0267720625 for the best deal! The room had all conveniences, was spotlessly presented and I had a great night's rest. The room was spacious, clean and well appointed. 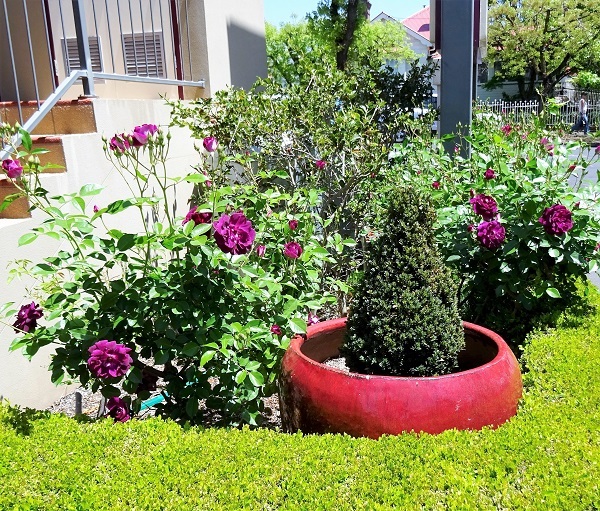 The property appeared to be extremely well maintained with nothing out of place.